OXFORD, Miss. – The artwork of several well-known artists, along with that of a few rising talents, is being bid on in an online auction to raise funds for the University of Mississippi Museum. 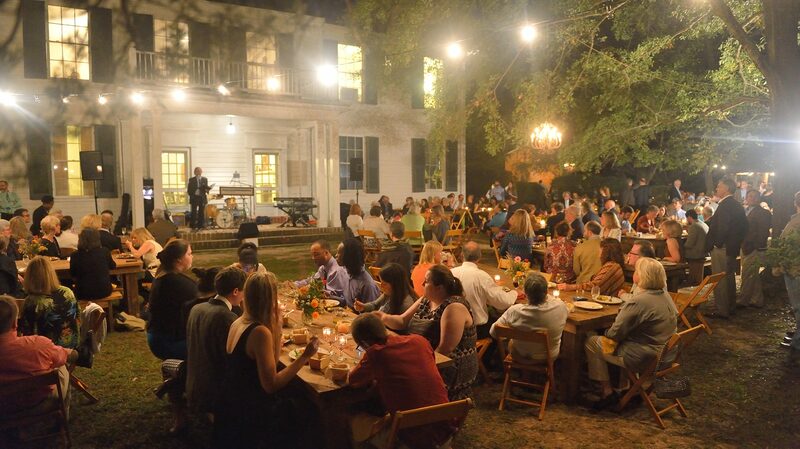 Each year, Friends of the Museum hosts the event to raise funds and awareness for the University Museum and Historic Houses. The online auction continues online through Oct. 17. It will transition to a silent auction at the Harvest Supper at 6:30 p.m. Oct. 18 on the grounds of Rowan Oak, home of Nobel Prize-winning author William Faulkner. Artists featured in the 2018 auction are Bill Dunlap, Jonathan Kent Adams, Langdon Clay, Maude Schuyler Clay, Ke Francis, Randy Hayes, Phillip Jackson, Terry Lynn, Robert Malone, Brooke White, and Carlyle Wolfe. New to the Harvest Supper auction this year are works by Billy Solitario, Charlie Buckley, Maysey Craddock, John Haltom, Ed Croom, Ashleigh Coleman, and Melanie Munns Antonelli. All the art is on display at the UM Museum. “These artists have the same goal as Friends for the Museum, and that is to benefit the museum and to share the art and collections held there,” said Diane Scruggs, Harvest Supper chair. Jackson, Malone and White are on the faculty in the UM Department of Art and Art History. Antonelli is collections manager at the museum and coordinator of the art auction. The online auction expands and supplements the Harvest Supper silent auction and provides those who might not be able to attend the event an opportunity to buy desirable art, unlike previous events that featured only a live auction at the event. “The addition of the online auction is a win for the Museum and Historic Homes, a win for the artists who gain even more exposure through the online auction and a win for art lovers and buyers who desire to acquire work by the quality artists represented in this year’s Harvest Supper auction,” Hardy said. Annually, Friends of the Museum gives more than $100,000 to support exhibitions, programming and collections, a good amount of which comes from the auctioned art, said Kate Wallace, the museum’s coordinator of membership, events, and communications. “The museum is so fortunate to have the Friends’ support,” Wallace said. Harvest Supper is sold out; however, tickets may become available. To be added to the wait list, contact Kate Wallace at 662-915-7073 or museum@olemiss.edu. For more information about 2018 Harvest Supper items or to place a bid, visit https://www.32auctions.com/HarvestSupper2018. For more information about the UM Museum, its collections, events and programming, visit http://museum.olemiss.edu. The UM Museum and Historic Houses are open 10 a.m.-6 p.m. Tuesdays through Saturdays. Admission is free.